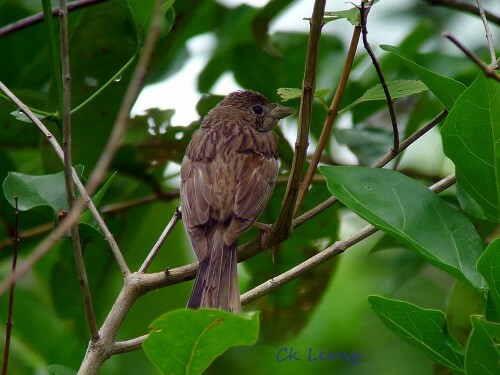 I missed this bird when it came calling way back in 2009 on Manukan Island, off Kota Kinabalu. This time it was much more accommodating, making daily appearances at the football field near to Bohebukut village on Maratua Island during my visit there in November last year. We saw a group of 3 individuals feeding on the overgrown grass, including this photographed bird which was blinded on one eye. My lifer! This is the third time I have seen this bird but would like to add that our bird records in Borneo leave a lot to be desired. 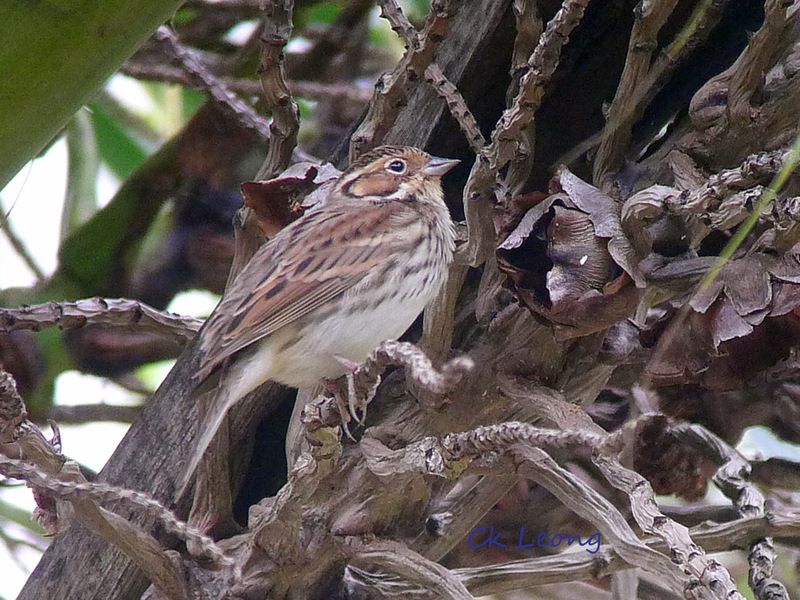 I previously saw the Little Bunting Emberiza pusilla on Lankayan Island and Tiga Island, both off Sabah. On my recent trip to another island, Maratua Island off East Kalimantan, I got lucky with this photo of this lone bird. The literature says it breeds in North Eurasia so I am quite impressed that it got here.